Andarine Review: Shocking Facts About S4 They Aren’t Telling You! Andarine: Secrets About S4 They Aren’t Telling You! Andarine (S4) is what they call a Selective Androgen Receptor Modulator, otherwise known as a SARM. It was designed specifically to help treat various diseases, mainly muscle wasting conditions. 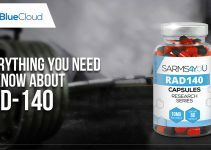 S4 SARM is considered to be one of the stronger compounds because it is known to be very fast-acting. You will experience drastic results within a short time frame. Because it’s so extremely strong it is widely used by many athletes, including bodybuilders. But what they aren’t telling you is that Andarine is no longer being researched. 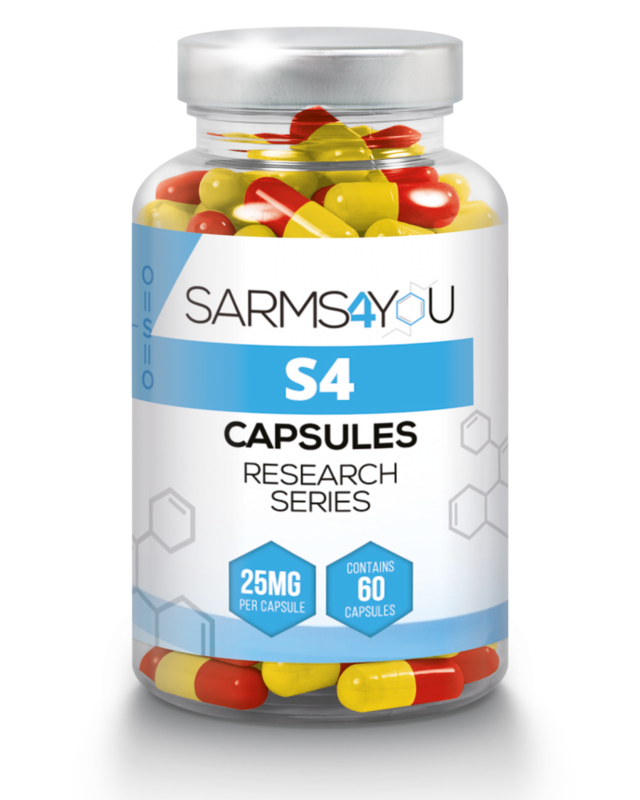 Even though various sources report that this SARM had very promising results, all research on S4 SARM has been completely abandoned. This SARM works by binding to the androgen receptors. Just like with other SARMs it does this in a selective manner. The androgen receptors play a very important role when it comes to building lean muscle tissue. It’s also worth mentioning that S4 is a partional agonist. Because it’s only a partional agonist of the androgen receptor some say it’s considered to be weaker than other SARMs. But trust me, that is definitely not the case. The great thing about Andarine is that it’s very effective at low dosages. Due to its high bioavailability you will be making good results within just a few weeks. Due to the high anabolic effects, you can experience steroid-like effects. Mainly muscle and bone tissue will be affected by the strength of this SARM. You can expect Andarine to help you put on a lot of lean muscle mass. That’s right, you won’t be experiencing any water retention or bloat when experimenting with this SARM. 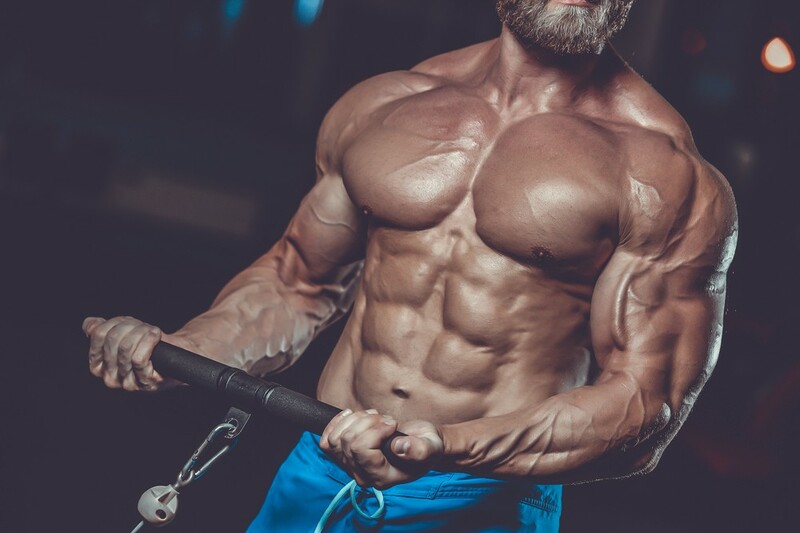 Another benefit you will get from researching with this selective androgen receptor modulator (SARM) is a significant boost in strength. After about 2 weeks into your research, you’ll start crushing personal records in the gym. For bulking, users often choose to stack Andarine with LGD-4033 to gain a lot of muscle mass in a short period of time. Anecdotal experiences tell us that 25-50mg of Andarine and 5-10mg of Ligandrol seems sufficient. When you are in a caloric deficit and you want to protect your muscle mass, a good combo would be Andarine and Ostarine (MK-2866). Some researchers will also choose to add in Cardarine to boost endurance. You will also read logs of users combining steroidal compounds such as Trenbolone with S4. Even at low dosages, steroid users commented that it had a huge effect on their physique. Personally, I’m not a big fan of stacking SARMs together. There isn’t any information available on stacking them together. Its also an option to stack it with MK677. These two SARMs are often compared to each other. It’s quite difficult to say which one is the better choice when comparing andarine vs ostarine. Ostarine is considered to be very effective for cutting and recomping, it’s also used to help treat injuries. It has the ability to put on size, but isn’t as strong as S4. When we take a look at S4, it’s mainly used to increase lean muscle mass and strength. But when we compare it to Ostarine, it does seem to have a bit more side effects. Both SARMs have their own set of benefits so it pretty much comes down to personal preference. You won’t have to worry about any side effects such as gynocomestia, water retention or hair loss. However, it isn’t completely side effect free. Andarine seems to have a different mechanism than most SARMs. This selective androgen receptor modulator (SARM) seems to also bind to the receptors in the eyes. It will have an effect on your vision. Users have reported a slight yellow tint to their vision. Not everybody experiences this, but most seem to experience it at night. I have researched with Andarine and did experience the yellow vision side effect. At 25mg I didn’t notice much, but once I upped the dosage to 50mg I started becoming much more sensitive to light. My night vision was also significantly impacted which made it hard to see at night. Keep in mind that this side effect is very dose dependent and it’s only temporarily. Once you discontinue S4 your vision seems to return to normal. Your natural hormone system can also be suppressed when using Andarine. This usually occurs with every SARM. In order to give your testosterone levels a boost after a cycle make sure to use a Post Cycle Therapy (PCT). Keep in mind that Andarine is still considered a research chemical and long-term side effects are unknown. This SARM really shines at low to moderate dosages. Because Andarine has very high anabolic activity, you won’t need to experiment with a high dosage. Most users will research with anywhere from 25 to 75mg a day. To get the most out of your dosage it is recommended to split your dosage throughout the day. We don’t know the exact half-life, but it’s said to be somewhere around 4-6 hours. This means you should be splitting it up in 2 or even 3 doses a day. If you want my opinion on the best Andarine dosage, I would not exceed the recommended dosage of 50mg a day. The sweet spot for most researchers seems to be 25 to 50mg. In case you didnt know, there also is a sports drug test for Andarine available. Most users feel the effects of Andarine within a few weeks. It is said to be very compareable to Winstrol or Anavar, which are oral steroids. As you can see this compound can be used for various goals such as cutting or bulking. When cutting, it will help you preserve muscle mass and perhaps even gain some like this user. Andarine made me put on roughly 8lbs of lean muscle mass, it’s a great SARM compared to others. I was in a caloric surplus and 50mg was more than plenty. You’ll often see users experiment with this compound mainly to gain strength and muscle mass. In my opinion, this is where it really shines. I have experimented with Andarine a while back. My cycle started at 25mg a day which I then upped to 50mg after two weeks. Immidiately I started noticing the effects such as increased vascularity and strength. My cycle ended up lasting roughly 8 weeks and I gained about 6-7lbs of lean muscle mass which is very impressive. Experienced no suppression, just a yellow tint to my vision which went away once I was done. Comparing it to other SARMs I have used I’d definitely say it’s one of the stronger ones. However, it isn’t as strong as Testolone. You don’t need to experiment with a high dosage mainly because it is very potent. Unfortunately, there aren’t many sources that have real andarine for sale. You’ll find plenty of sketchy of websites claim that they sell SARMs but it probarly isn’t the real deal. My to-go source for SARMs is Sarms4You. They have great quality products and ship out pretty fast. 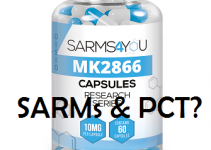 Southern Sarms Review: Should you buy SARMS here?